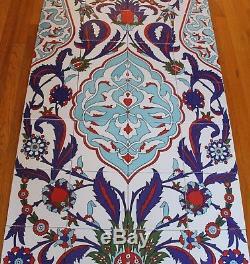 31 1/2"x71 1/8" (80cm x 180cm) Turkish handpainted ceramic tile set/panel. 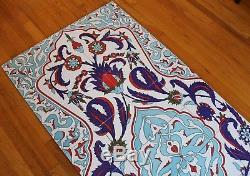 Set is consist of 36 7 7/8"x7 7/8" (20cm x 20cm). And they are 1/4 thick (standard ceramic tile thickness). 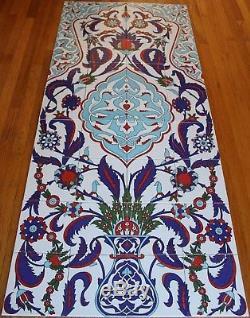 These tile is decorated with Ottoman Iznik floral and vase pattern. 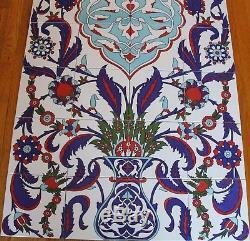 Designs on these tiles are raised (in relief form). Main colors are light blue, purplish blue, green and red (background color is white). These tiles has layer of glaze on them and panel can be used at moist areas. 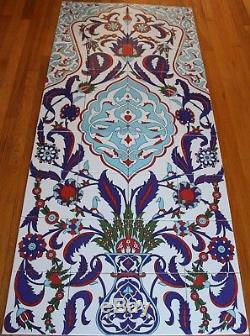 The item "Turkish 32x71 Iznik Floral Pattern Handpainted Ceramic Tile PANEL Mural" is in sale since Friday, July 6, 2018. 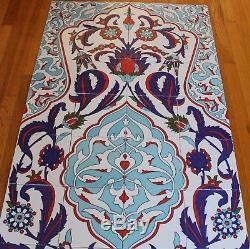 This item is in the category "Home & Garden\Home Décor\Tile Art". 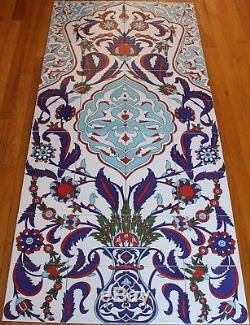 The seller is "anatoliancarpetsandartifacts" and is located in Dalton, Georgia. This item can be shipped worldwide.